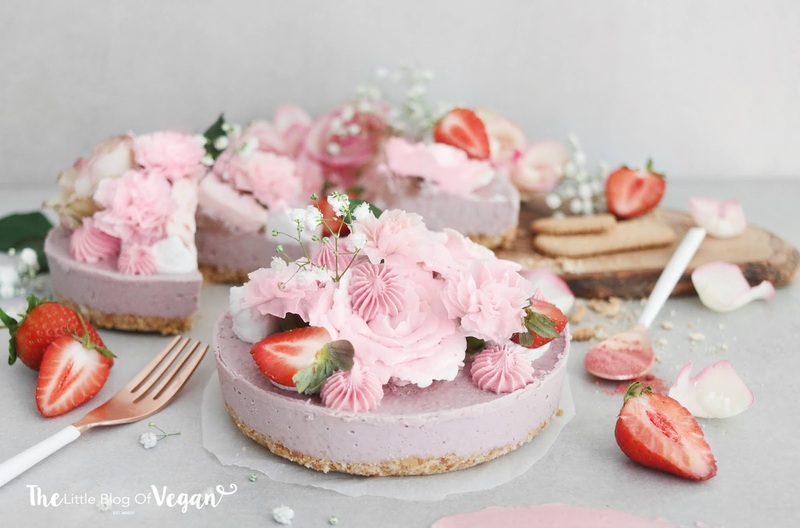 Raw cheesecakes are one of my favourite desserts to make! They are easy to make and guilt-free...what more could you want?! This cheesecake uses natural sugars for sweetness and flavour. It's 100% vegan and wheat-free, perfect for everyone to enjoy. 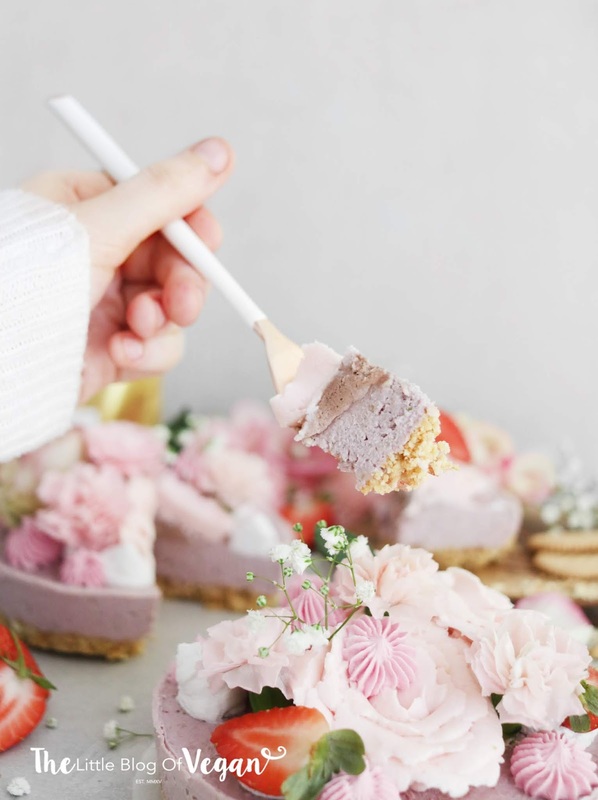 The base is nutty with sweetness from dates and the cheesecake filling is a scrumptious strawberry flavour, topped with coconut cream flowers and fresh strawberries! 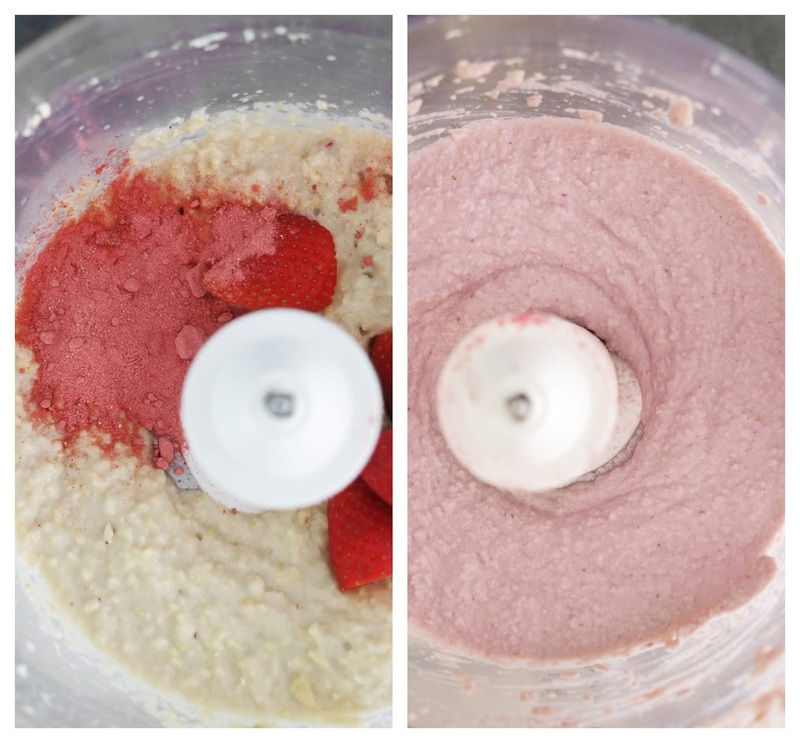 I use fresh strawberries as well as a natural strawberry powder from Earth Co. Step 2- De-seed the medjool dates and place them into a food processor, along with the almonds, oats, walnuts and salt. 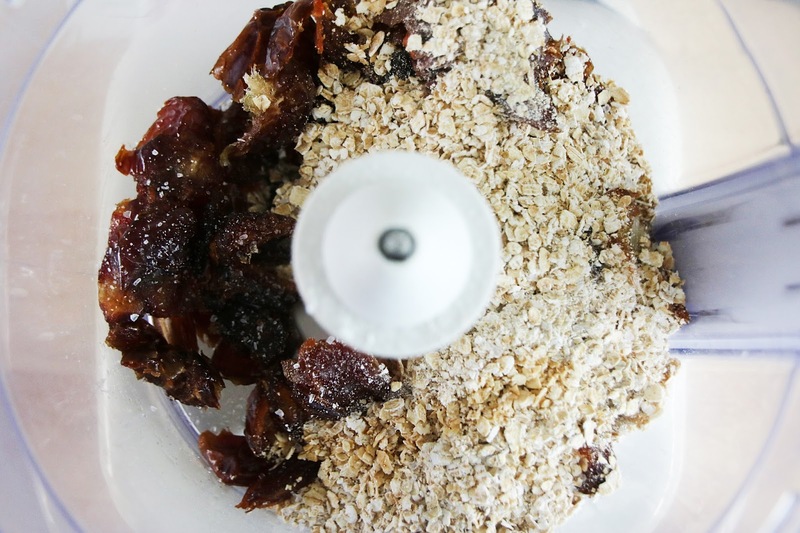 Step 1- Drain the water from the cashew nuts and place into a food processor, along with the maple syrup, strawberries, strawberry powder, vanilla extract and melted coconut oil. This will take around 5-8 minutes on high. Step 3- Carefully pour the cheesecake mixture onto the base and even out with a spoon, then pop the tin back in to the freezer to set. I served my cheesecake with coconut cream flowers and fresh strawberries. 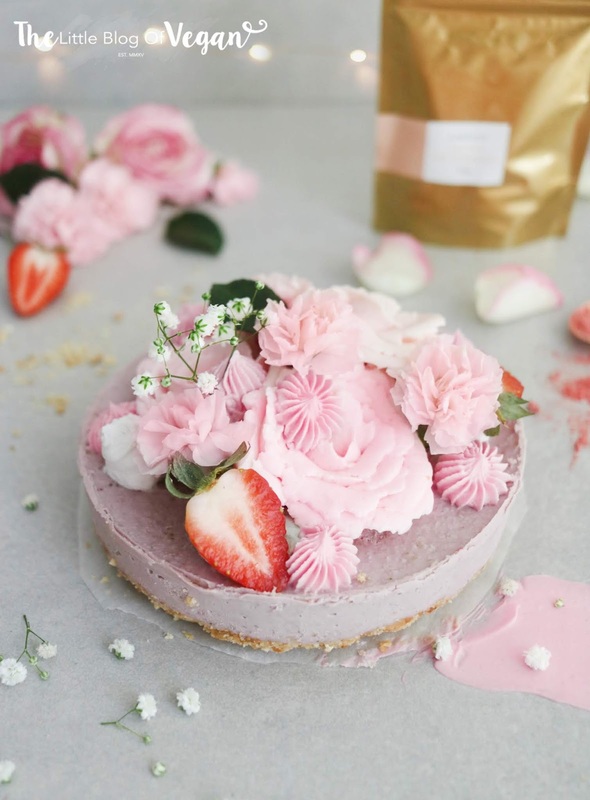 This strawberry cheesecake looks and sounds so delicious! I love your photographs!